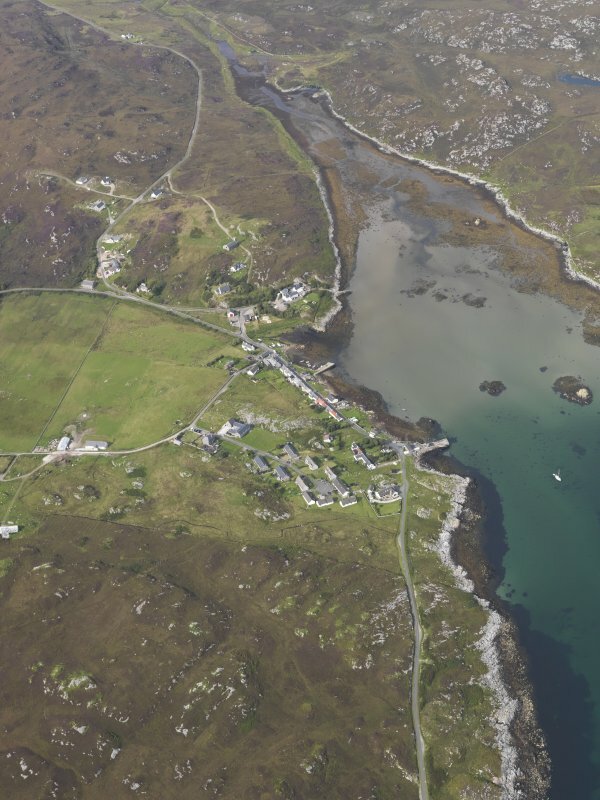 Oblique aerial view of Coll Parish Church, taken from the west, centred on the inn. 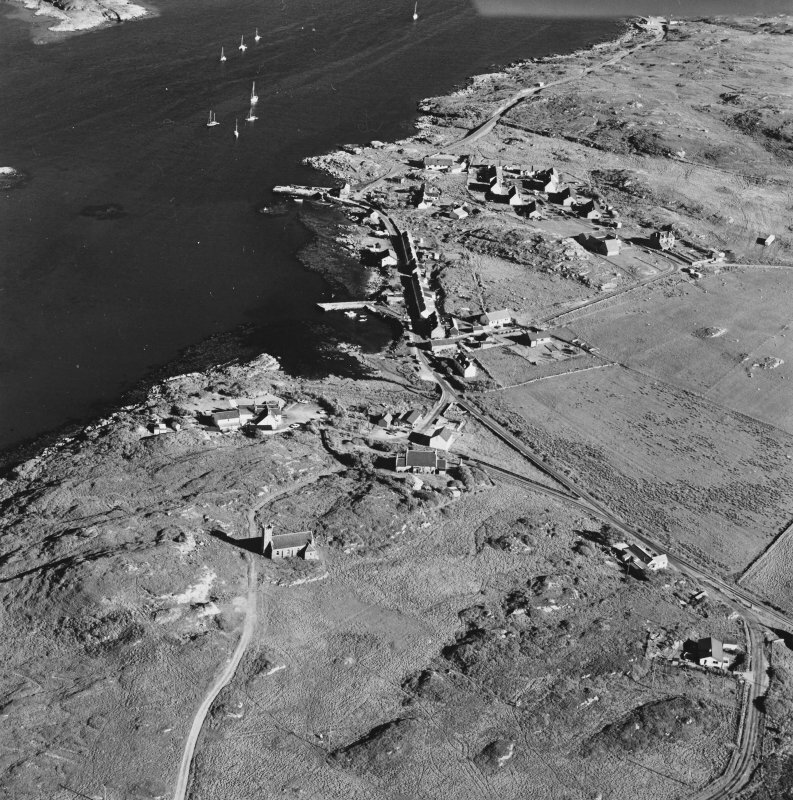 Oblique aerial view of Coll Parish Church, taken from the north, centred on the church. 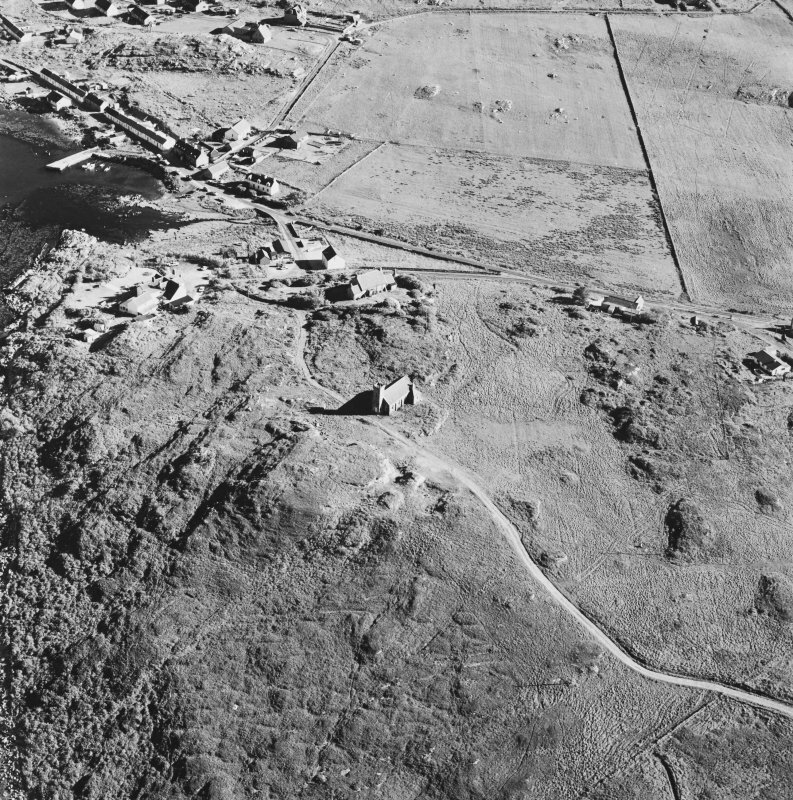 Oblique aerial view of Coll Parish Church, taken from the north east, centred on the church. 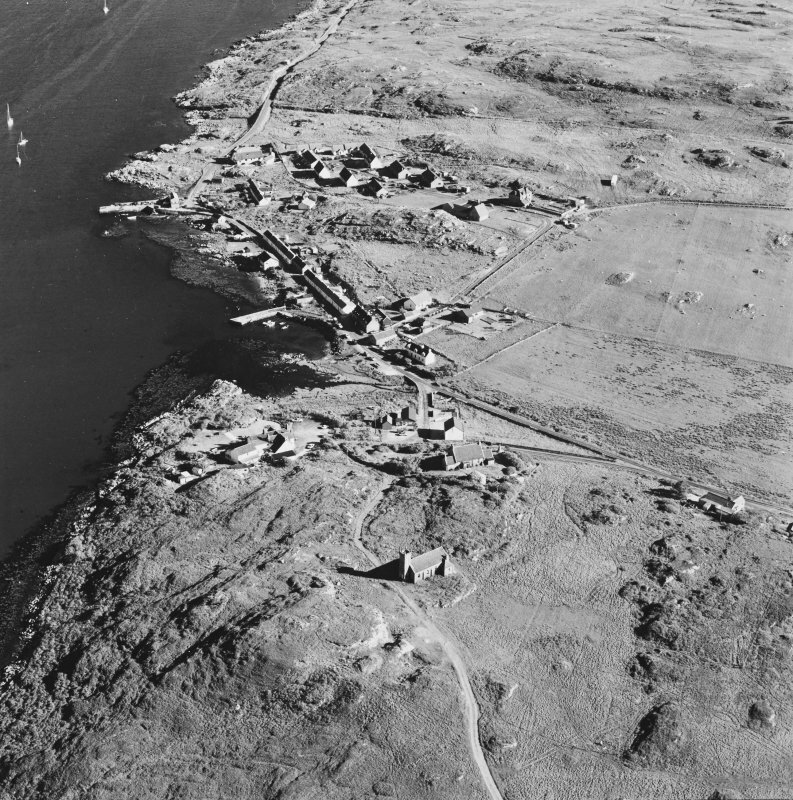 General olique aerial view of the bay at Aringour with the remains of the possible kelp grid beyond the buildings, looking to the N.
Oblique aerial view of Arinagour, taken from the south west, centred on the town. 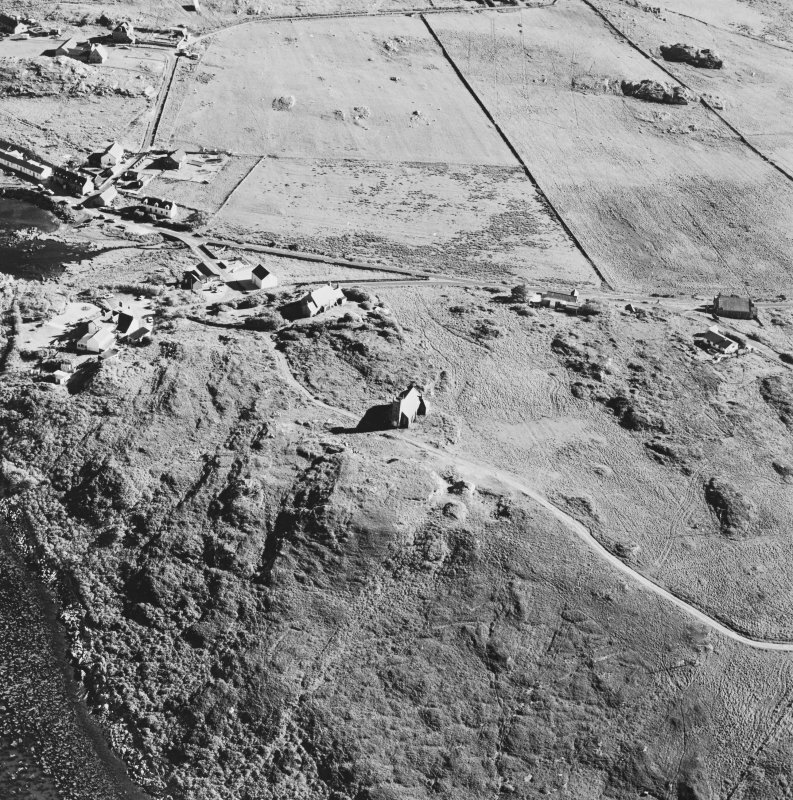 Oblique aerial view of Coll Parish Church, taken from the north west, centred on the church. 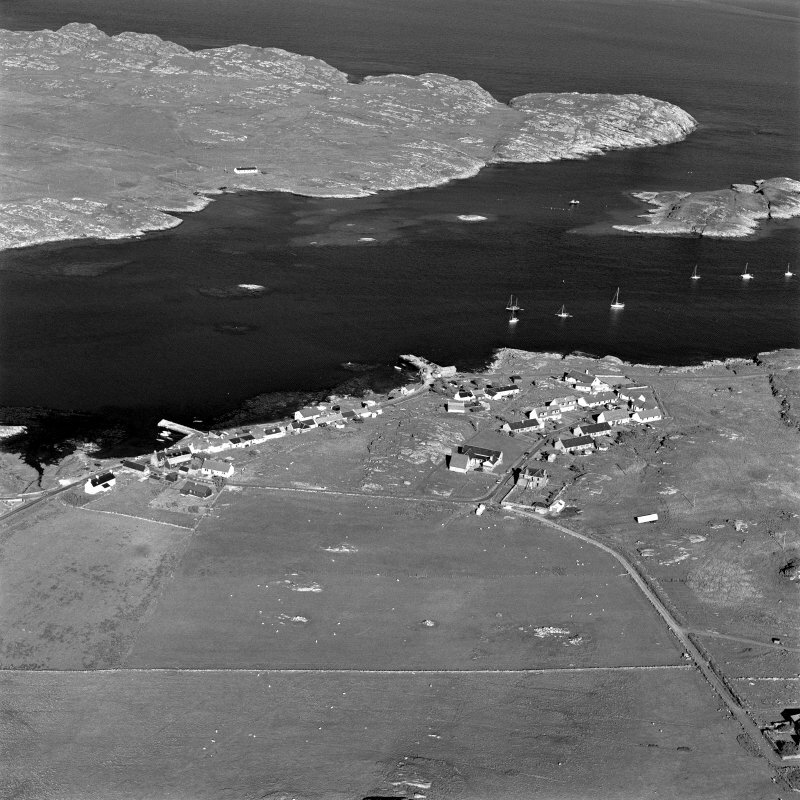 General oblique aerial view of the bay at Aringour with the remains of the possible kelp grid beyond the buildings, taken from the SSE. 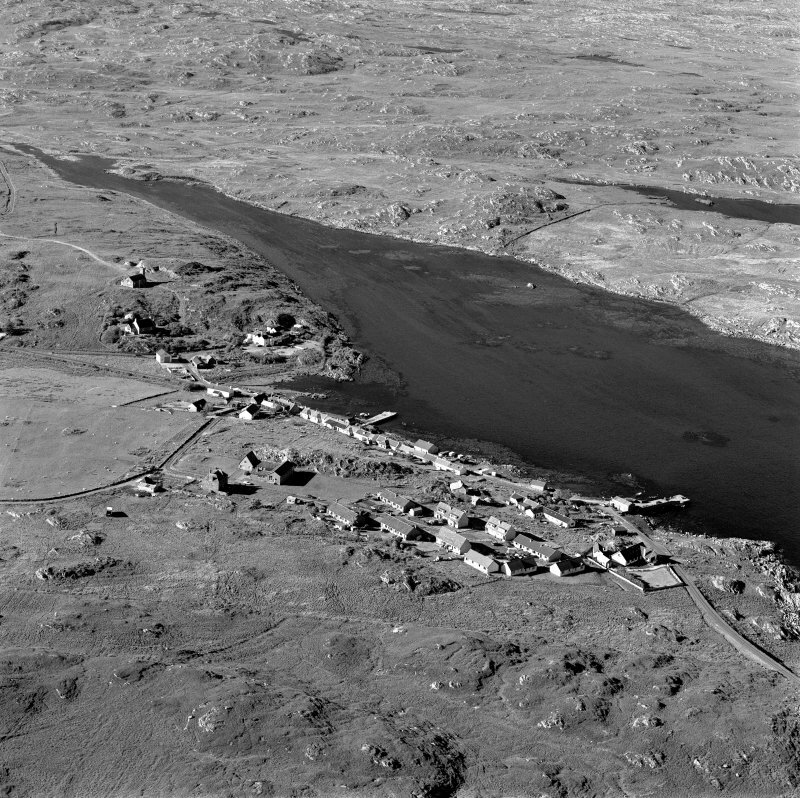 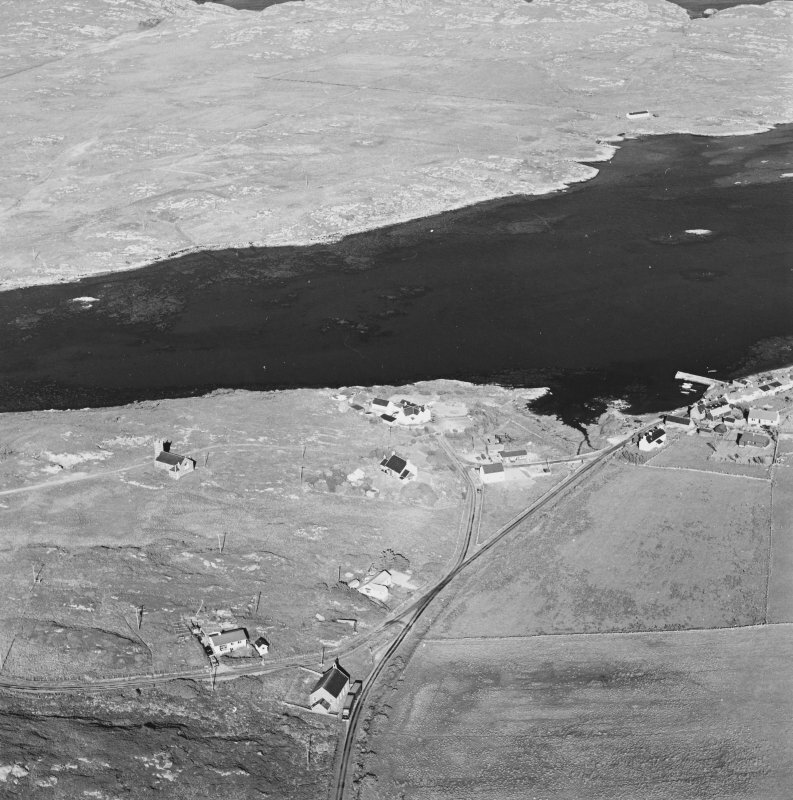 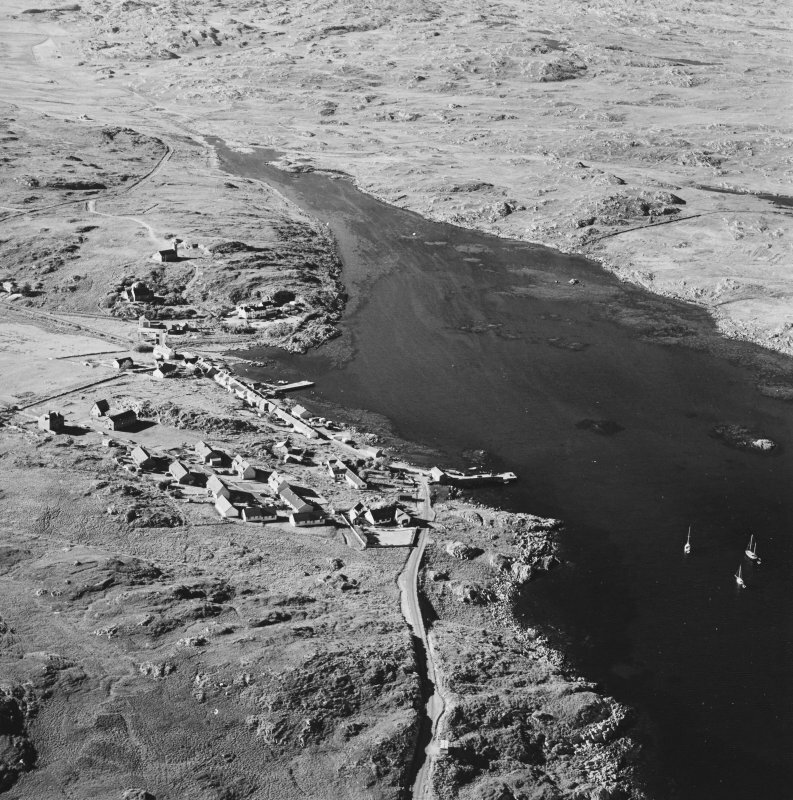 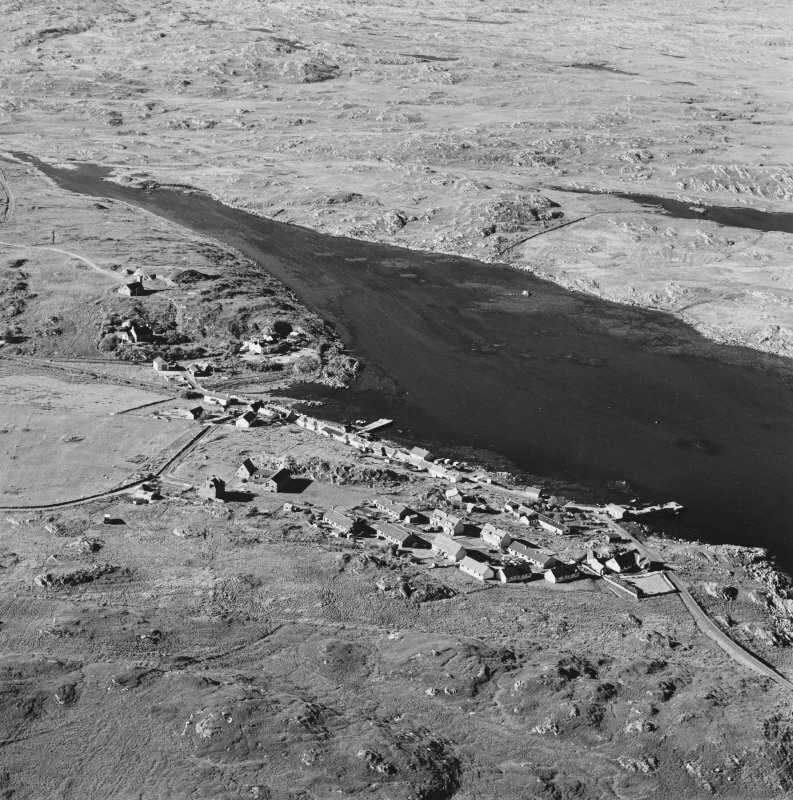 Oblique aerial view of Arinagour, taken from the south, centred on the town. 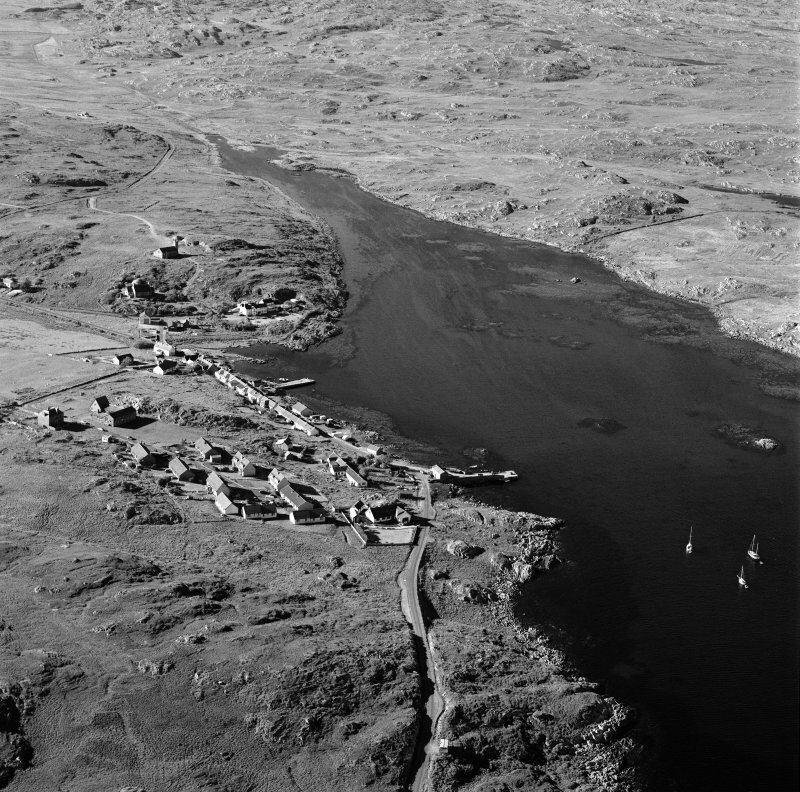 Oblique aerial view of Arinagour, taken from the north west, centred on the town. 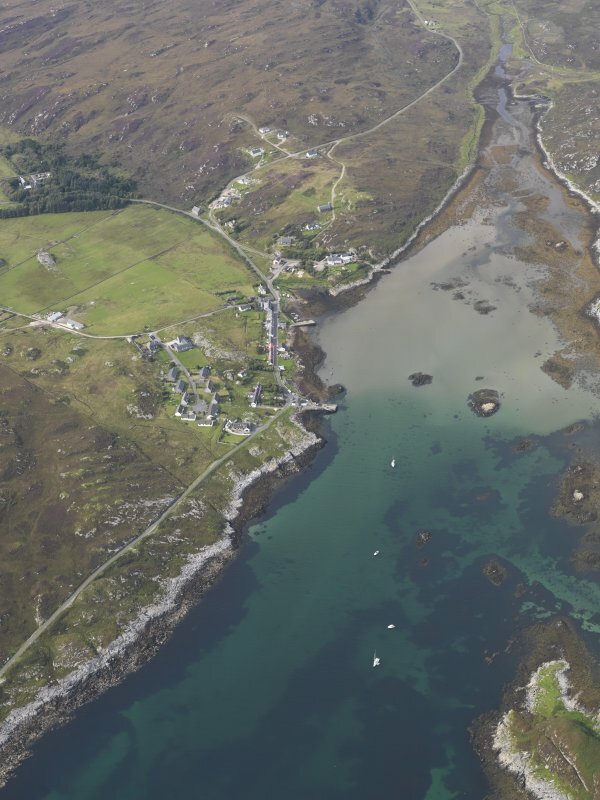 General olique aerial view of the bay at Aringour with Eilean Ornsay in the foreground, looking to the NNE. 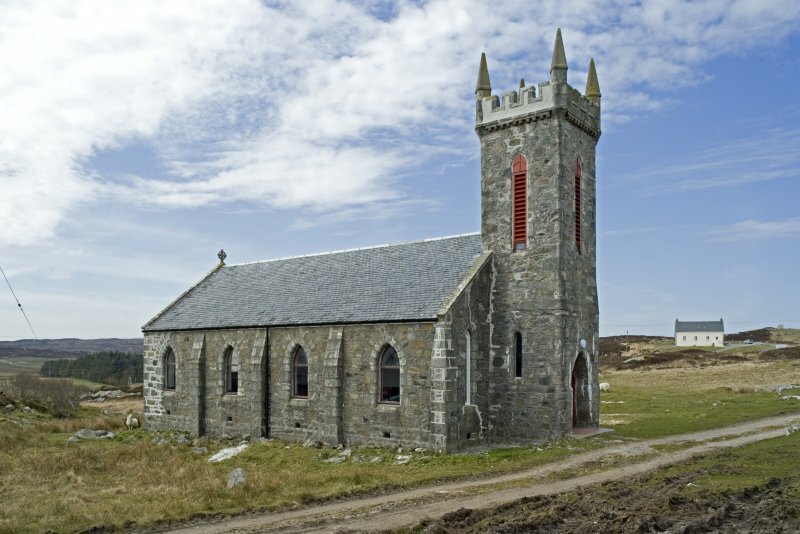 Gothic revival church (1907) with lancet windows and unexpectedly elegant timber roof. 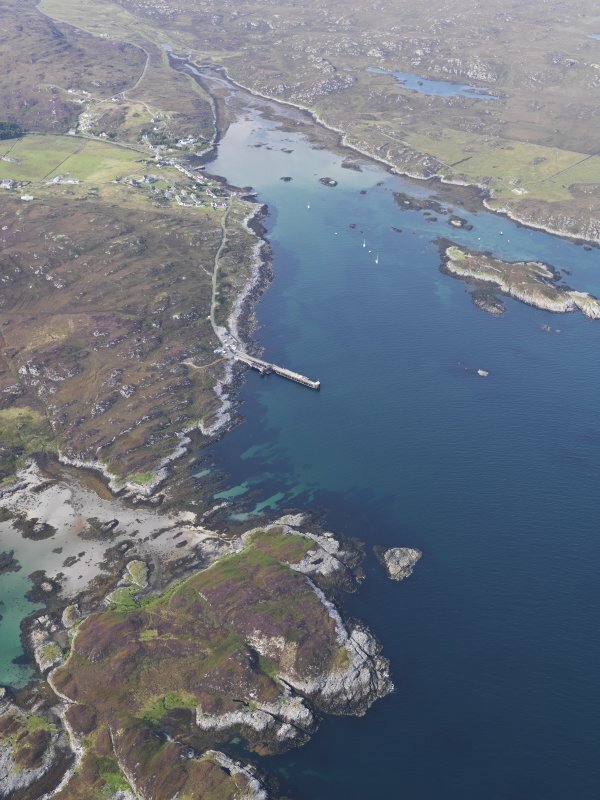 Photographed by the Listed Buildings Area Survey, Argyll upgrade programme.